Online Annotated Bibliography Editing Services. An annotated bibliography provides readers with a quick glimpse of the documents you relied on your research. 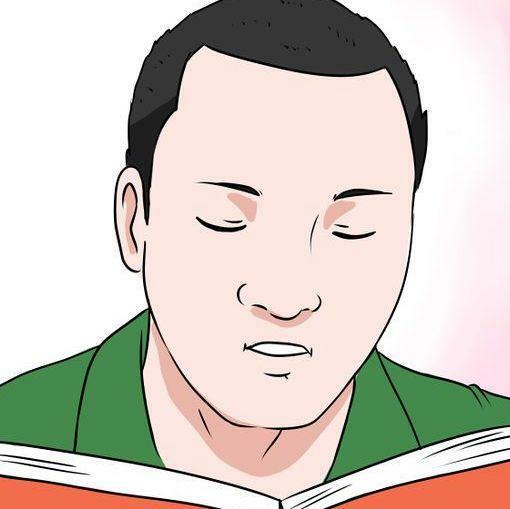 It also helps readers to determine accuracy, relevance, and quality of cited sources. You must, therefore, read through your bibliography to determine if it is detail oriented. Writing an annotated bibliography is time-consuming, and it will take even longer to edit. Academic Writers Bureau offered bibliography editing service that will save you time and challenge of bias when editing your work. All the above help to determine if the sources in your references add value to your work. Academicwritersbureau.com makes every effort to offer the best editing service. We hire Master’s and Ph.D. editors from the similar academic background as the subject of the paper for which you are writing the bibliography. The intention is to assign every order to someone who can analyze the research problems in a study and determine if the sources and information on the bibliography fit in. 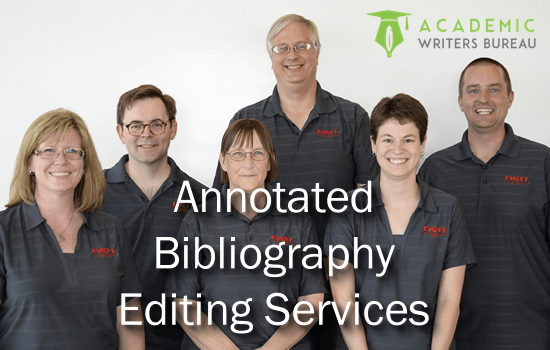 The editing team has members from different academic fields giving us the advantage to find a knowledgeable editor for the subject that the annotated bibliography represents. It helps us to handle all orders including those for complicated and scientific projects. AWB spends much time searching for best editors to work on the projects. The fort has paid off in that we have expert editors for almost each academic area. When you order for annotated bibliography editing help, we will pair your bibliography with an editor with vast experience in your field. We can allow you to directly message your editor for you to ask questions relating to your assignment and know if he/she is proficient in your field. The communication also helps you to track the editing process to ensure that the editor does it the right way. We guarantee you of quality editing and promise unlimited revisions if your work does not meet your instructions until you confirm your satisfaction. Looking for the Best Rated Annotated Bibliography Editorial Help? We are the answer to your worry. We stand to carry out the task as you request within your time frame specifications. Our results are amazing. I have a complex topic. Can you find an editor to review my annotated bibliography? What happened if the editing does not satisfy me? Will I receive my order on time? How much will annotated bibliography editing cost me? You price on length and turnaround. Click order now on our website to fill the order form and pay via credit card, debit card or PayPal. Remember to upload the file you want us to edit. Get a Professional Editing Feel on your Annotated Bibliography. I was trying annotated bibliography editing service and the edited version I received surpassed my expectations. I had a challenge when writing my annotated bibliography, but after editing by AWB, it came out perfect. They removed the unnecessary sources and pointed out where I was wrong. I was in a dilemma when my research supervisors required me to amend my bibliography. A friend referred me AWB. After the editing, my supervisor had nothing to complain. It is the reason I recommend them to students engaged in research writing.